The Championship returns on Friday night with a West Midlands derby between winless Birmingham and recently-relegated West Brom. Mark O'Haire previews the encounter. "Monk’s now overseen nine fixtures at St Andrew’s with Middlesbrough last term the only side to depart the Second City club with a win (W4-D4-L1)." 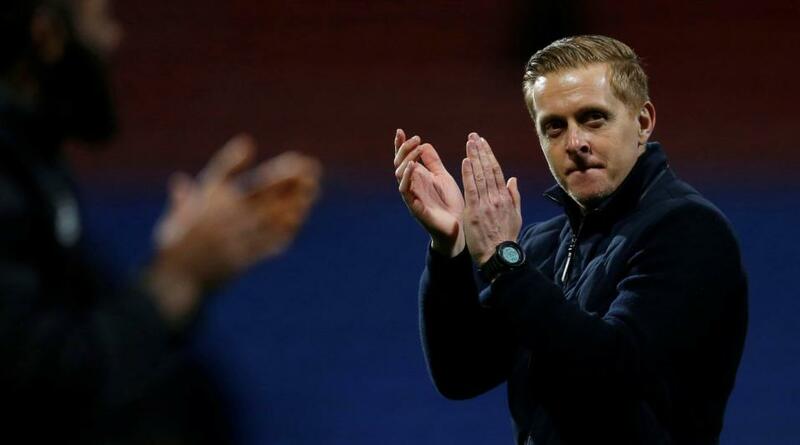 Garry Monk admitted his Birmingham side didn't perform to their best ability when being held to a 0-0 home draw against QPR in their last outing before the international break. The Blues' failure to seal top honours meant they've now failed to win any of their opening six league matches for the first time since 1978. With the exception of a brief early period, Birmingham struggled to assert their authority on the game and were fortunate not to come away empty-handed when Rangers hit a post in the dying embers of the encounter. Monk's men managed a sole effort on-target and were out-shot 12-5 at St Andrew's. Meanwhile, reports suggest City could be facing the prospect of a record-breaking punishment after they broke FFP rules. Birmingham could be docked up to 12 points and slapped with a big fine after breaching Profitability and Sustainability regulations. West Brom are perched inside the Championship's top-10 having W3-D1-L2 in their opening six outings. The Baggies were convincing 2-1 winners against promotion favourites Stoke in their most recent outing with eye-catching summer signing Dwight Gayle grabbing a double. Albion boss Darren Moore waxed lyrical over Gayle's impact with the loan striker taking his goal tally to three, as well as earning WBA three penalties despite only making four starts for his new club. Gayle's partnership with Jay Rodriguez is already looking like the second-tier's hottest forward pairing. The visitors have been handed a boost ahead of Friday night's fixture with Gayle fully recovering from a knock, while Scottish international duo Matt Phillips and James Morrison have both recovered from injury to be available for the Baggies here. West Brom [2.24] have picked up maximum points in each of their last three meetings with Birmingham, although the last head-to-head was in the FA Cup back in January 2015. The Baggies have produced three very different performances on their travels thus far and are still searching for consistency. Birmingham [3.55] are desperate to collect a first league victory of 2017/18, and while Garry Monk's men were poor here a fortnight ago against QPR, the hosts produced a number of promising performances only to be let down by wayward finishing with the Blues notching only four goals from 27 on-target attempts. Monk's now overseen nine fixtures at St Andrew's with Middlesbrough last term the only side to depart the Second City club with a win (W4-D4-L1). The draw [3.40] looks a solid runner with both sides still having to iron out flaws in their game before serious progression can be made. Friday night's showdown pits together two teams with contrasting goal trends. Birmingham's opening six matches have produced a paltry 1.67 goals per-game with four encounters featuring no more than a solitary strike, including back-to-back 0-0 draws. West Brom's games have averaged 4.00 goals per-game with the Baggies yet to record a clean sheet, delivering five successful Both Teams To Score selections and four profitable Over 2.5 Goals [2.18] plays. With such opposing early data between the two, I'm happy to swerve the goal markets.